The Stallion Hybrid Trunnion Table allows manufacturers to maximize the efficiency of their vertical machining center and rotary table. Every time a part is handled or indicated, there is an increased risk of scrapping it. 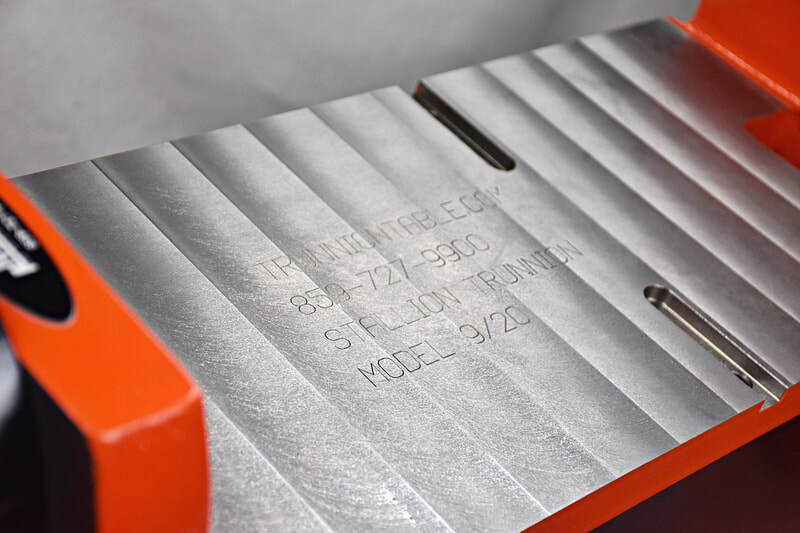 The Stallion Trunnion Table minimizes this risk through 4th axis milling. 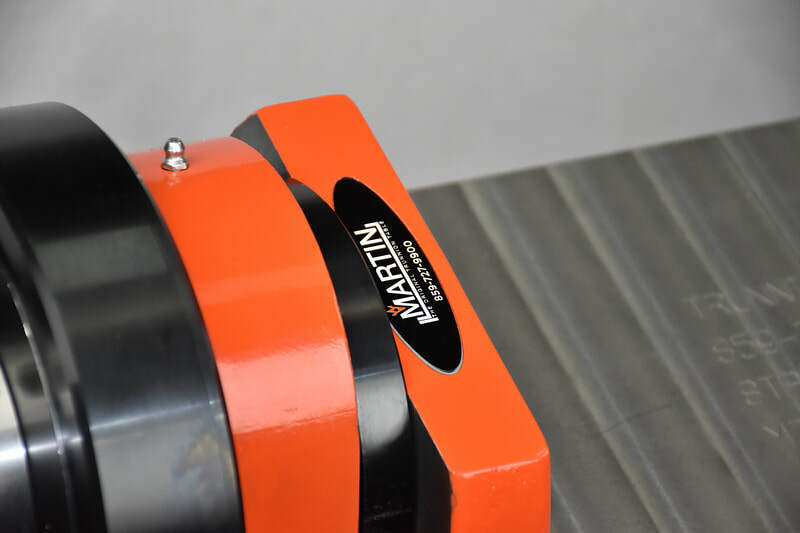 With full 360-degree rotation, machining multiple sides of a part becomes possible, allowing your operators to handle a part as little as necessary. 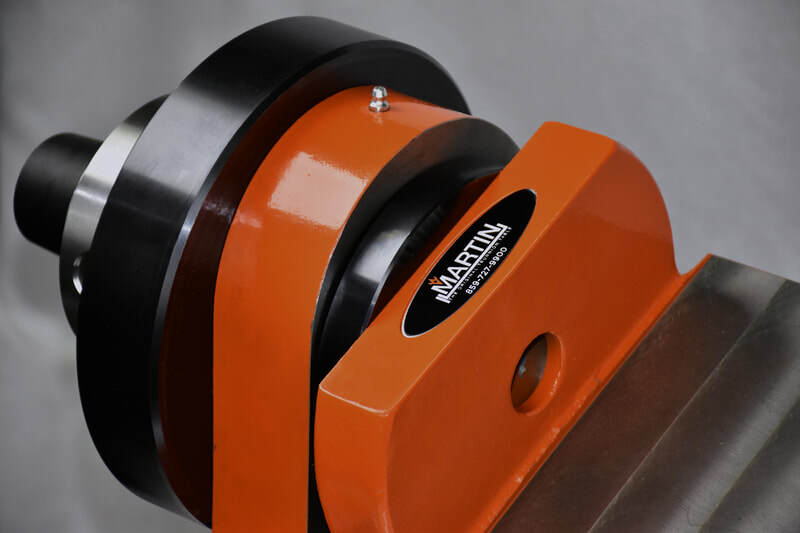 The Stallion Hybrid includes a pneumatic braking system as well as a 5c collet chuck (or other chuck, vise, and work-holding of your choice) located on the outboard support. 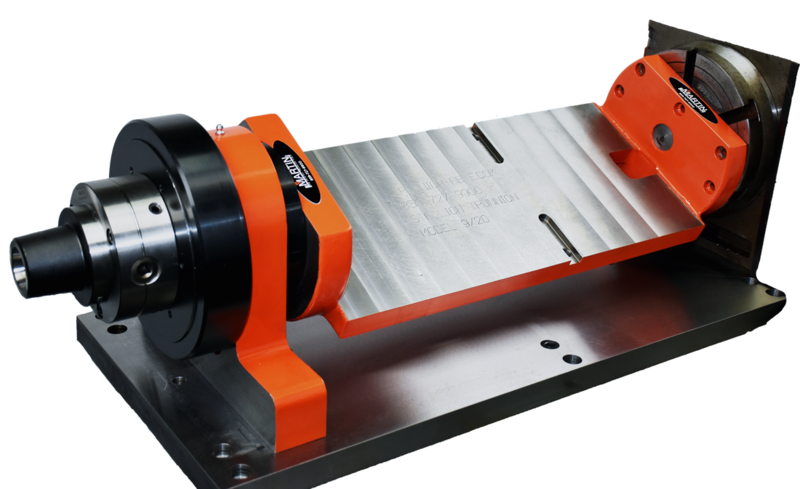 The chuck rotates with your rotary table and eliminates the need to remove the Trunnion Table for other work-holding options. 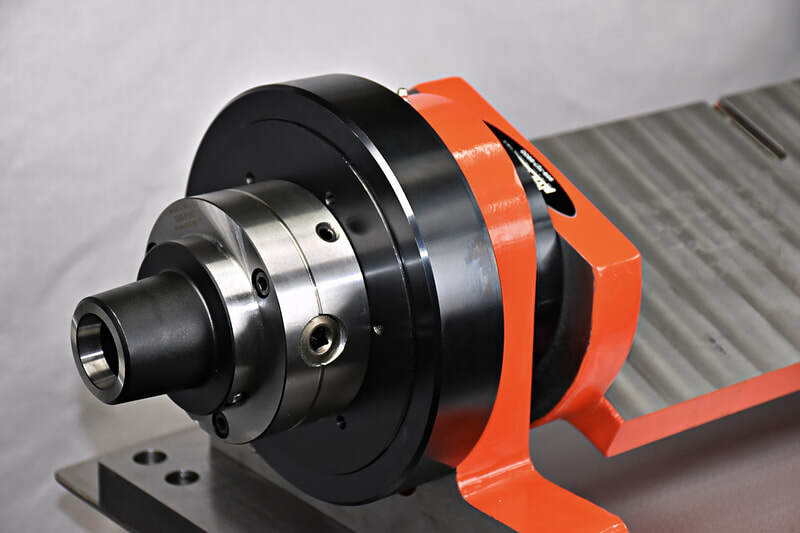 The Stallion Hybrid Trunnion Table can be made to any length of your choice and includes a collet or jaw chuck of your choice, as well as a built in pneumatic brake. "We use it all the time, and it has saved us thousands of dollars in saved setup times by being able to do parts in one setup. The trunnion was also machined very accurately, within .001 on all surfaces."